by Jerald Simon on January 13, 2017 in Motivation in a Minute! Music students should always be learning and improving. It’s important to learn something new on a daily basis (it also helps if the new knowledge is used and applied regularly because it has a greater chance of being retained). The old adage that the student learns much but the teacher learns much more is very true. When teachers teach, they do (or should do) everything they can to help students learn as much as they can. Students learn in their own way and in their own time. Because there are several learning styles (auditory, visual, kinesthetic, etc.) many teachers must adapt their teaching techniques to each individual learning style and also to each individual student. By doing so, each teacher learns so much more. You cannot and should not teach each student the same way, for no two students are alike. Each is different and unique and requires a different and unique approach to learning and being taught. If you have the opportunity to allow your students to teach, please do so. I try to involve my own music students in as many workshops, seminars, or presentations I do as possible because I have them become the presenters. They teach the audience the theory of what they are doing as they do it. In doing so, they become teachers. I encourage all of my students to begin teaching students of their own, if they want to, when they reach a certain skill level and become proficient enough to share what they have learned. In teaching others, they prove to themselves that they know what they are doing. Encourage your students to explain, in their own words, the theory of what they are doing musically as they do it. Let them be teachers and teach you theory (as either the teacher or the parent). Ask questions. Pretend you’re an inquisitor and ask what they’re doing and why they’re doing it. Let them explain it. Too often as teachers we want to do all the talking and expect students to do all of the listening. I have found it can be a greater experience for the teacher and the student when roles are reversed. Teachers can learn a great deal from their students. Think of those inspired words. Do we see our piano students as amateurs and novices, how they appear to be, or do we see them as master composers, musicians and arrangers? How we view our students dictates how we treat them, and ultimately, what they potentially could and should do and be. Many times I feel frustrated with students who act apathetic towards music – and life in general, not because I think they aren’t doing well, but because they feel comfortable staying where they are and don’t feel any real need to excel beyond a certain point. I often feel they don’t see themselves as I see them and don’t understand how much they personally could and should do in their own lives and in the musical world if they would choose to. Once their perspective changes, their attitude will change. When their attitude changes, they act differently and speak differently. They will have a purpose and mission in life. Lately I have been reading about Wolfgang Amadeus Mozart. He knew his mission from a very early age. What a fascinating individual on all accounts. 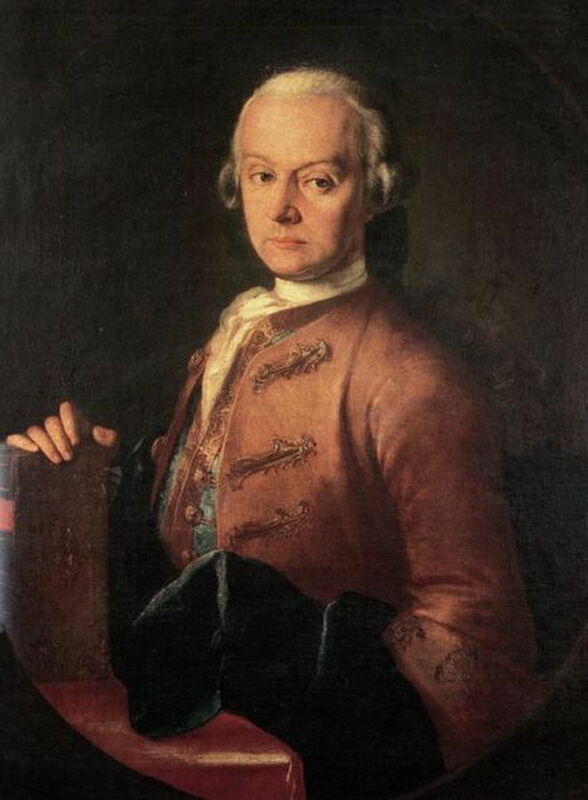 He was and is a genius, but I have thought about his tutoring from his father Leopold Mozart. 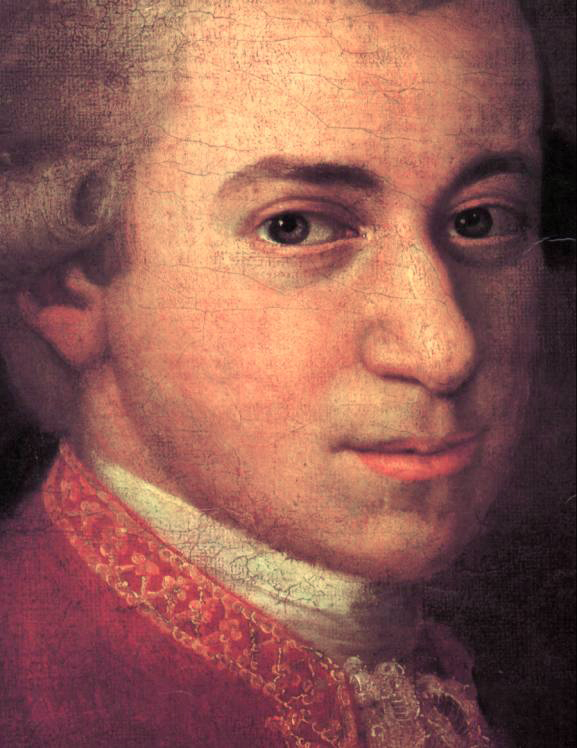 By the age of three, Mozart “entertained himself often for long periods at the keyboard by hunting out the thirds, which he then always sounded, and showed his pleasure at having discovered this harmony” (from Mozart – His Character, His Work by Alfred Einstein). We know how amazing Mozart was and how much of an impact he has had on the world, but what of his instruction? Mozart was home-schooled. He had no other instructor, other than his father, and never went to school. His father, Leopold, has often been criticized for being too harsh and demanding of what he required from Mozart. Many have come down on Leopold because they say he exploited Mozart’s talents for monetary gain, which he did, but in Leopold’s defense, he said that “he held it to be his duty before God and the world to further the inconceivable talent of Wolfgang as a gift sent from above” (also from Mozart – His Character, His Work by Alfred Einstein). As music mentors, we have a wonderful responsibility to teach and encourage music students to do the very best they can in all aspects of their lives. We are teaching them dedication, confidence, enthusiasm, and igniting within them the knowledge that they can do whatever they put their minds to. Their potential is unlimited. Their growth is exponential. Whether we are parents, teachers, mentors, or neighbors, we can do so much to help those around us live up to their potential. We can and should also live up to our own potential and do the best we ourselves can do to improve ourselves everyday. And lastly, to quote Johann Wolfgang Von Goethe once again, “One ought, every day at least, to hear a little song, read a good poem, see a fine picture, and if it were possible, to speak a few reasonable words”. Teach and Be Taught – in all times and in all places. We are students striving to be better in all we do. We are teachers. We are examples. We are Music Mentors!